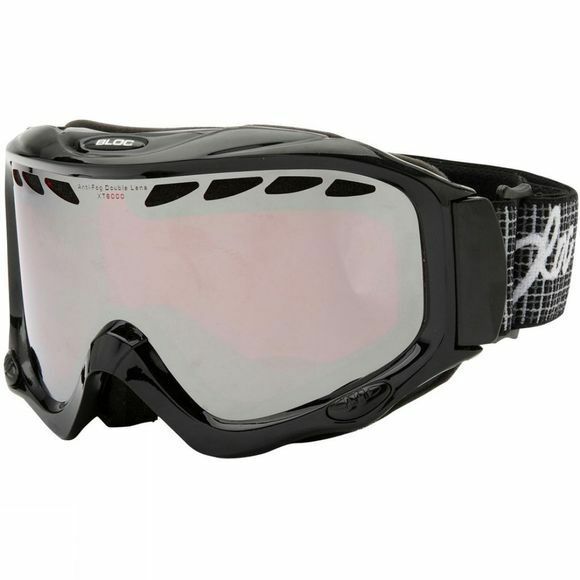 The classic shape of the Phantom 2 Goggle remains a favourite amongst the Bloc faithful. Peripheral and downward vision is opened wide with the Phantom which is a unisex goggle optimized for medium to large faces. The tough but flexible Polyurethane constructed frame with integrated venting system has a Tri-Fleece, injected Thermo Face Foam for comfort, fit and warmth. The helmet compatible elasticated headband is also fully adjustable for the perfect fit.